Nest’s developers have focused on creating a product with tons of done-for-you features. This has resulted in a product that’s easy to use even for people who aren’t tech savvy. That combined with Nest’s sleek looks and sturdy build make this model a top seller. You may have already heard about the Nest Thermostat. Many of your friends and family members that are tech junkies may have introduced you to this stylish sensation in home automation. But for those of you out there who have not had the pleasure of seeing this trendy device in action, today, we are going to take a deeper look at this product. Not only will we learn about what this product can do, but we will also learn who this product is right for and who might not benefit from using it. So let’s get started, shall we? 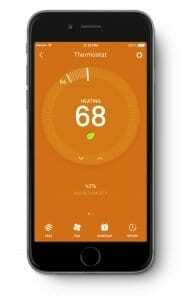 You may have already checked some other thermostat reviews, so if you don’t feel like reading another whole review, use the links below to skip to exactly what you’re looking for. 2 What Can This Trendy Looking Thermostat Offer You? 3 Is There a Monthly Fee For Nest? 4 Who Is Nest Right for? 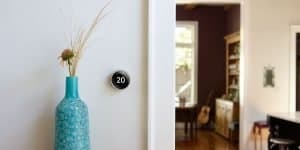 5 Who Will Not Benefit From Nest? What Can This Trendy Looking Thermostat Offer You? The Nest Thermostat is surely different looking. It’s sleek design, however, is far from simple at all. This neat looking device has a ton of features that just might make your life easier. Below is a list of features that will not only help better control the temperature in your home but will add comfort and convenience to your life as well. 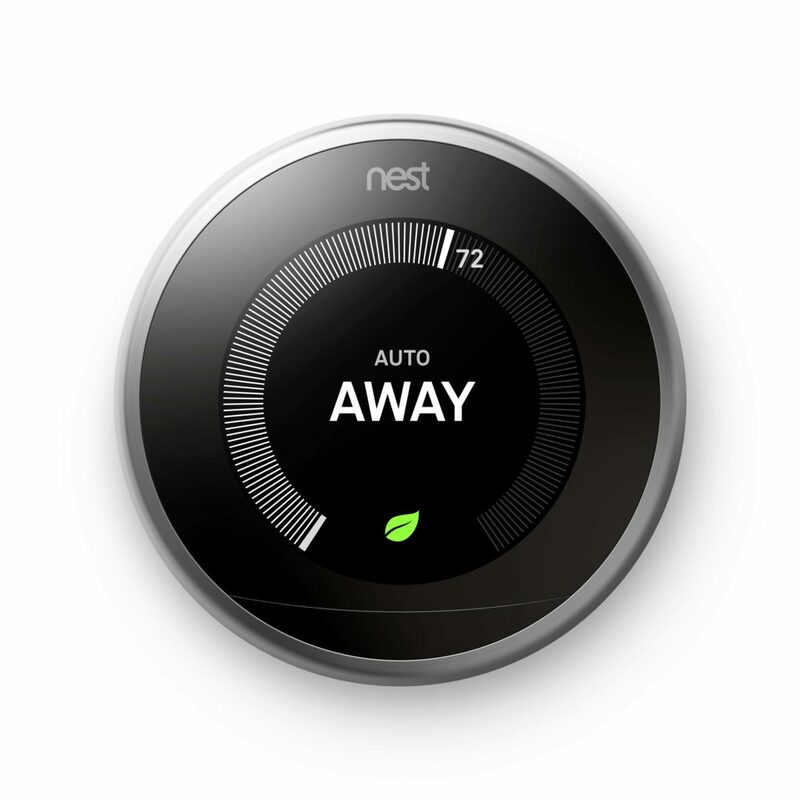 Nest is not only a thermostat but it is also a learning device. This thermostat never has to be programmed because it will learn your temperature preferences over time. What’s not to love about that? Just imagine never having to program your thermostat again! Once you install this unit, you go about your business and let the device do the work for you. For example, if you always wake up and eat breakfast at 7 AM and turn the thermostat up to 70 degrees. Nest will learn your behavior and automatically heat the home up while you enjoy your meal. Nest will save you money. Most programmable thermostats will save you money by keeping your heating and air unit from running when you don’t need it. But Nest goes beyond the call of duty by tracking your energy savings. Then it will send this information to your smartphone so you can keep track of how much energy you are using. This information is very detailed and will show you which days and times you use the most electricity. A great tool, this will allow you to save even more money by cutting down on use during peak times. You can adjust your temperature from anywhere in the world. Without even being home you can use nest to adjust the temperature. A smartphone app allows you to make temperature changes when you can’t be there in person. This is great for those people who live really busy lives. It helps keep your home safe. Nest is more than just a thermostat. It is also a real life saver! If the temperature inside your home drops too low during the winter months, your plumbing may freeze up and burst. If you are away from home, this can cause serious water damage. Nest will quickly alert you when the temperature inside your home drops to below freezing so that you can do something to prevent disaster. It’s super easy to install. If you are just a little handy with a screwdriver, you can install Nest on your own. Simply pop off your old thermostat and install Nest. This should not take more than 30 minutes to complete. Watch the installation video and see for yourself how easy it is. Is There a Monthly Fee For Nest? There is no extra subscription to get full functionality out of your Nest thermostat. Nest does sell a subscription service called Nest Aware. However, the Nest Aware service applies only to Nest’s video recording devices. Who Is Nest Right for? While Nest might not be right for those who want total control over their heating and air unit, it is perfect for others. Below are some situations that people might benefit from having Nest take control over their heating and cooling. 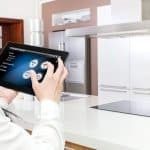 While this is not a complete list of situations, it will give you a better idea of who might benefit from having this device installed in their home. Nest is great for those who travel. If you are always on the go and not home a lot, then Nest is perfect for you. You will be able to view and control your home’s temperature from anywhere in the world. Nest will also help keep your home safe by monitoring the dangerous rise and drop in temperature. 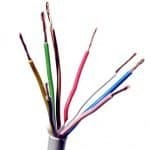 If temperatures drop below freezing this can do a lot of damage to the plumbing in your home. Nest will alert you via your smart device so that you can do something about the situation before it is too late. This device is great for families. Let’s face it those of us with kids have tons of things to worry about. We live busy lives and keeping up with the temperature in our homes is just one more thing to worry about. This is where Nest can help. By taking over the climate, it gives busy families the comfort they need without having to worry about it. This will allow you to get back to the important things in life. Those looking to save more money. The Nest is built with money saving technology that will allow you to closely track your energy use. This will allow you adjust your settings so that you can save even more money. Many of us have become penny pinchers because of the condition of the economy. Investing in a Nest would be a great way to keep more money in the bank. Nest is part of the “Works With Nest” collaboration. It’s a group of manufacturers that are working together to make their products work together seamlessly. Participants include: a ceiling fan that works with your thermostat to help keep you cool and spend less on energy, smart locks that let your thermostat know if people are home or not, and an air quality monitor that tells Nest to turn on your ventilation fan when your indoor air quality is low. Who Will Not Benefit From Nest? 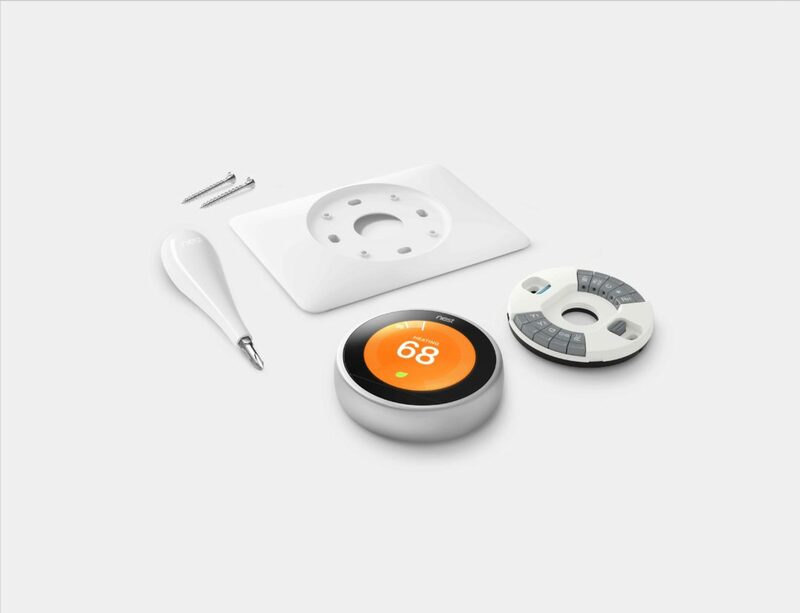 If you are the type of person who likes to regulate the temperature of your home by adjusting it manually then Nest is probably not for you. Nest was designed to allow the homeowner to allow the unit to take over the responsibility of temperature control. If you are already happy with the way your home’s climate is controlled, then you might not want to invest the money in purchasing Nest. But for the rest of you, Nest just might be a life changing experience. Now we will take a look at what we have found good about this product. Nest is an easy to install smart-device that will allow you to control your home’s temperature from anywhere in the world. This product has the ability to help save you money by giving you a detailed energy usage report. Nest is a learning device that will track your comfort levels and slowly begin to take control of the climate in your home. Once Nest has learned more about your habits, you will never have to fumble with the controls ever again. Having this task taken out of your hands will give you one less thing to worry about. This unit has a rather high cost. Some people might be turned off by this price but in the long term, the unit may actually pay for itself. Plus, if you live in the right area, you may be able to get a rebate or discount from your utility company. If you are looking for the perfect way to control your home’s comfort level without having to think about it, the Nest is a great device for you. Not only will Nest allow you to set it and forget it, this unit will help keep your home the perfect temperature all of the time. Nest learns your habits and adjusts your home’s temperature to match your activity. This smart device goes even further and lets you control your heating and cooling system anywhere in the world. So if you have someone coming over and you are not at home, you will be able to adjust the temperature for them even from thousands of miles away. While the initial cost for the unit is on the high end of smart thermostats, you get a lot more for your home with Nest. 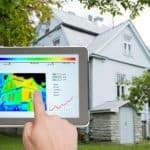 You will not only be able to optimize the amount of energy you use, but you will be able to keep your home safe as well. A built-in alarm will send an alert to your mobile app if the temperature in your home falls below freezing which will help protect your home from water damage. The Nest is perfect for those who lead busy lives and for those who are away from their home for more than a few days a month. If you are looking for a great way to save money while being comfortable at the same time, then you might want to invest in this state-of-the-art product. What info can you supply about the monthly fee? I understand there is a fee for their Nest cams (Nest Aware), but couldn’t find anything about the thermostat. Nest Aware is Nest’s cloud service for their cameras. There are no extra fees to use the thermostat. Once you buy the Nest thermostat, you get the full functionality without any extra subscription fees.